Sir Frank Lampl is Life President of Bevis Lend Lease, the international construction and project management subsidiary of Lend Lease Corporation of Australia. 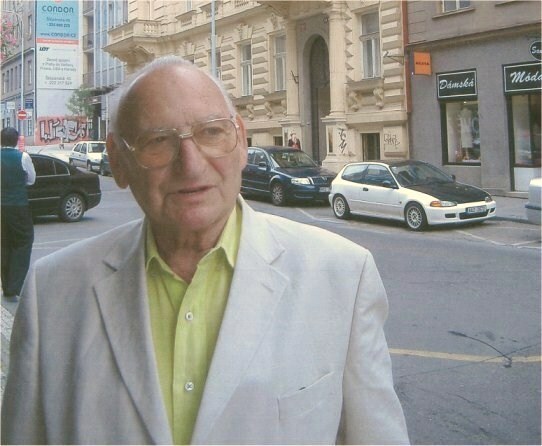 Born in 1926, in the Czech city of Brno, he is a survivor of the Nazi concentration camps of Terezin, Auschwitz and Dachau. He was again imprisoned in the Czech political purges of the 1950’s, spending three and half years in the uranium mines of Jachymov. On his release, Sir Frank worked in the Czech construction industry, initially as labourer and ultimately as Managing Director of a large state-owned construction company, following extramural studies at Brno Technical University. In 1968, after the Russian occupation of Czechoslovakia, he moved with his wife and son to the United Kingdom. He joined Bovis in 1971 as a Project Manager and within three months was made a construction Director. In 1974 he became Managing Director of Bovis Construction Southern and an Executive Director o Bovis Construction. In 1977 he took control of Bovis Construction International, the nucleus of Bovis International, which was founded in 1978 with Sir Frank as Chief Executive and Managing Director. In 1985 he was made Chairman and Chief Executive of the Bovis Group and appointed and Executive Director of Bovis’ parent Company, P&O. Sir Frank was Instrumental in building up Bovis’ international reputation and capability, in particular through the friendly acquisition of three major US contractors and by establishing new Bovis subsidiaries across Europe and in South Africa, Latin America, Asia and Australia. Sold by P&O to Lend Lease Corporation in 1999, today Bovis Lend Lease is managing over US$20 billion of projects worldwide, with over 7,000 in 40 countries. A Knighthood was conferred on Sir Frank in the 1990 New Year’s Honours List. He also holds honorary doctorates awarded by Brno Technical University, Reading University, Middlesex University and Kingston University in Surry, which also appointed him as its first Chancellor in 1994. He is the recipient of the first Presidential Medal of the Chartered Institute of Building, an Honorary Fellow of the Association of Project Management and Companion of the British Institute of management. In 2002 Sir Frank received the first Lifetime Achievement Award to be presented by Britain’s Building magazine. He has been included in the 40 names forming the “Hall of Fame” contributors to the Construction Industry within the last 40 years. From 2004 until 2007 Sir Frank was non-executive director of Mills Corporation PLC in Washington DC. Since 2007 he is on the Advisory board of Intelligent Engineering plc.. In 2008 Sir Frank was awarded “Gratias Agit” by the Foreign secretary of the Czech Republic.